ReTree Steamboat is a project of the Yampa Valley Sustainability Council. 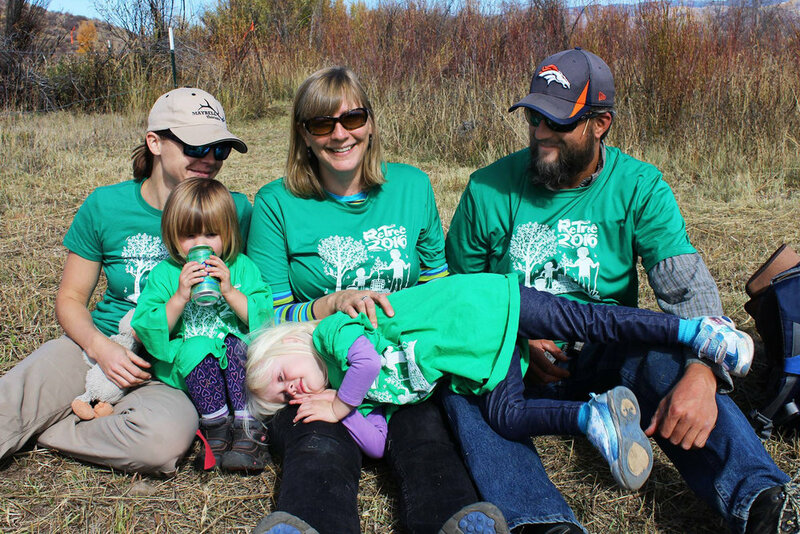 Each year the Steamboat Springs, Colorado community plants trees with expert guidance from the Colorado State Forest service. This is such a great program and I was really happy to design the artwork for their t-shirts and poster in 2016. You can read an article from the Steamboat Today here. I'm in the middle above with my family and friends after a busy day planting trees!